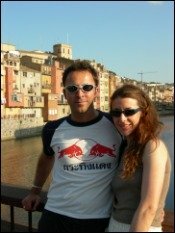 I first got to know the Costa Brava 20 years ago when my mum moved out here from England having fallen in love with this region of Spain, the Costa Brava, herself over the years of family holidays to its many lovely beaches. At first I would just visit several times a year, falling more and more in love with this stunning part of Spain every time I came. the little stone villages with narrow streets (that have barely changed for centuries). But why did we create this website? Well, as we mentioned on the home page, we could never find any information on the internet that really answered our questions on what there was to do on the Costa Brava. The sites we came across were either the official tourist board website or some other site that just seemed to reiterate what the official tourist board website said. Don’t get us wrong, the official tourist site is great, but it isn’t personal. It didn’t give us what we were really looking for...the real Costa Brava, written by real people that really know it. our friends loved having what they felt was the Costa Brava insight by friends that really knew the place. So we thought, why not create our own site, and give anyone who wants to know, the Costa Brava insight that our friends seemed to appreciate so much. So please let us know if there is something we haven’t covered that you want to know about (unless it is totally random...like Catalonia squirrel mating habits) and we’ll build you a page on it. We also want this site to contain readers real stories...not just ours. So please tell us your stories, share your experiences and your photos - and we’ll create a Web page just for you.